Murphy; O’Brien, Kenna, Browne, Bermingham; Forrester (Kelly, 70), Chambers (Coombes, 81), Carroll, Bolger, O’Connor (Meenan, 66); Fagan. Rogers; Keane, McGuinness, Peers, Gaynor; Conneely, Ventre, Ndo, Cawley (Lynch, 61), Boco; Quigley (Buchanan 90+2). 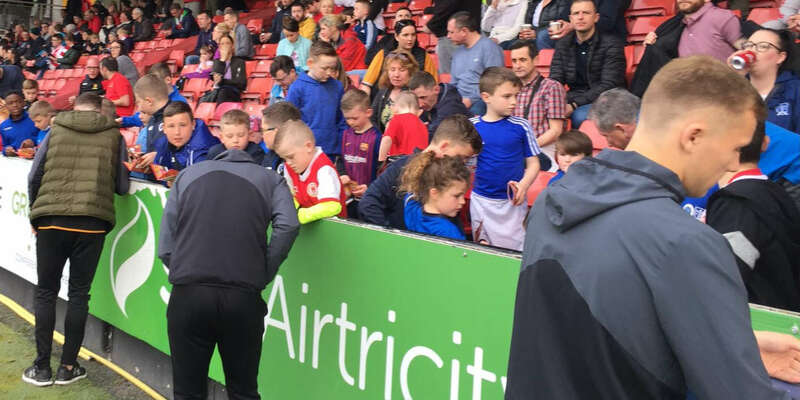 Sligo Rovers earned another precious point in their title run as they shared a 0-0 draw with St Patrick's Athletic at Inchicore on Friday evening. Gavin Peers headed the best chance of a tight opening half straight at Barry Murphy in the 20th minute as both teams cancelled each other out. St Pat's were more impressive after the break and should have earned the three points when Christy Fagan shot wide with the goal at his mercy in the 73rd minute. Despite an early raid involving Alan Keane and Seamus Conneely in the third minute, Rovers struggled to impose themselves in the early exchanges with James Chambers the game's most influential performer in the hosts' midfield. A number of corner-kicks inside the opening quarter caused a degree of discomfort for Gary Rogers on a difficult night for handling as Sligo rode out the St Pat's storm with gradual comfort. Joseph Ndo became increasingly influential as the contest evolved, looking to make use of Conneely and Quigley at every opportunity and it was the Cameroonian who instigated the first clear-cut opportunity for Sligo in the 20th minute. 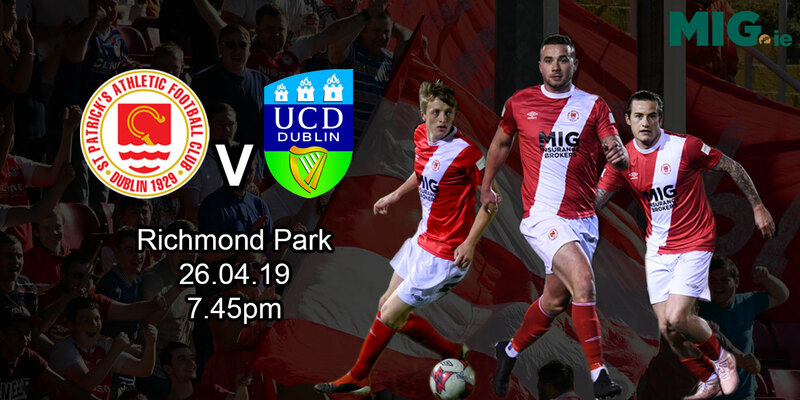 It arrived from a free-kick from 40 yards out that was curled in by Ndo onto the head of Peers, who failed to replicate his scoring exploits from last Friday evening against Shelbourne, as he planted a header straight at Murphy from six yards. The visitors derived confidence from that chance and looked far more relaxed defensively in dealing with a St Patrick's side that looked bereft of ideas despite enjoying a bountiful amount of possession. That theme continued in the opening minute of the restart with Christopher Forrestal releasing O'Connor in acres of space, but from a threatening position, the winger produced a sub-standard cross straight at Rogers. The Bit o' Red looked content to preserve what they had, but always remained dangerous on the counter-attack as Quigley fed the overlapping Gaynor, whose ambitious shot from 30 yards arrowed straight into Murphy's arms. Quigley began enjoying a greater degree of space against what seemed a tiring home defence and his link play allowed Sligo to make regular incisions in the St Patrick's half without committing sufficient numbers to make that possession count. St Patrick's substitute, Jake Kelly, made an equally positive impression as he released Fagan through on goal in the 73rd minute, but with only Rogers to beat, the centre-forward dragged a poor attempt two yards wide of the upright. Fagan was again culpable three minutes later as Ian Bermingham raced clear beyond Alan Keane, but his inviting cross was bundled wide by the onrushing Fagan from six yards. Liam Buckley's last throw of the dice was the introduction of Ryan Coombes ten minutes from time and the substitute almost made the breakthrough with a cracking drive from twenty yards that Rogers impressed in holding. 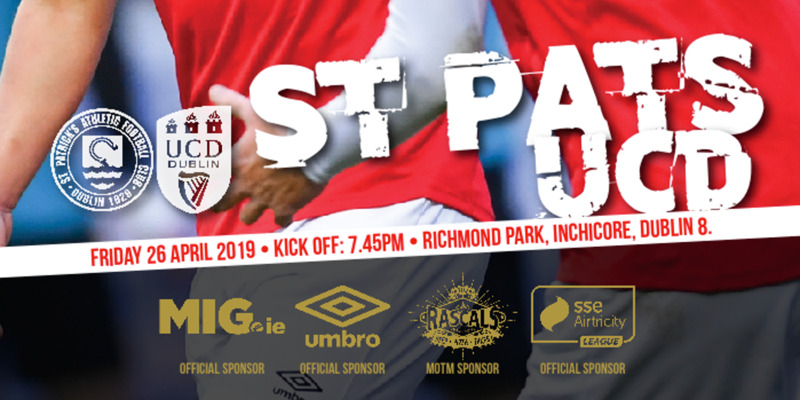 Despite that late pressure, St Pat's were indebted to Murphy in the 89th minute as he produced a sprawling save to deny Danny Ventre after Lee Lynch had escaped intelligently down the left-wing.